Posted on February 1, 2010 at 19:25. 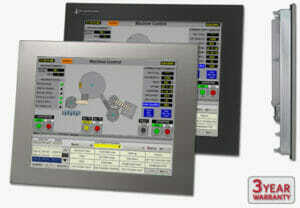 Hope Industrial Systems is now shipping Hazloc-rated models of our 17″ and 19″ industrial monitors and touch screens. Our Panel Mount and Universal Mount displays (including our keyboards and KVM extenders) have been certified by UL for Class I, II, and III, Division 2 locations. These displays are also certified by UL for Type 12/4/4X environments, carry a UL508 safety rating, and are backed up by our industry-leading standard 3-year warranty. So what Hazloc ratings are available? 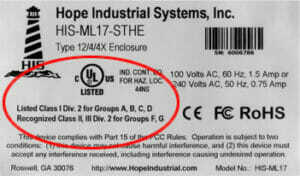 What Hope Industrial Systems products are Hazloc rated? Price – nobody has Hazloc-rated monitors even close to our prices! For more details, please visit the Hazardous Location explainer page.